In his 32-year-career, Russell O’Grady has become a local icon and delighted customers with his “cheery grin” at a McDonald’s restaurant in Sydney, Australia. 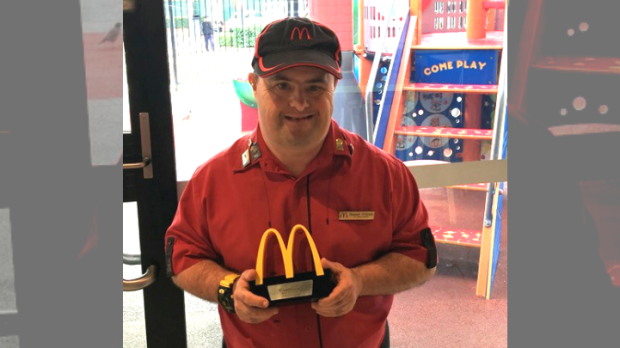 O’Grady, 50, was born with Down syndrome and has been working with the fast-food chain since 1986 —unwittingly becoming a trailblazer for people with intellectual disabilities with his long tenure. 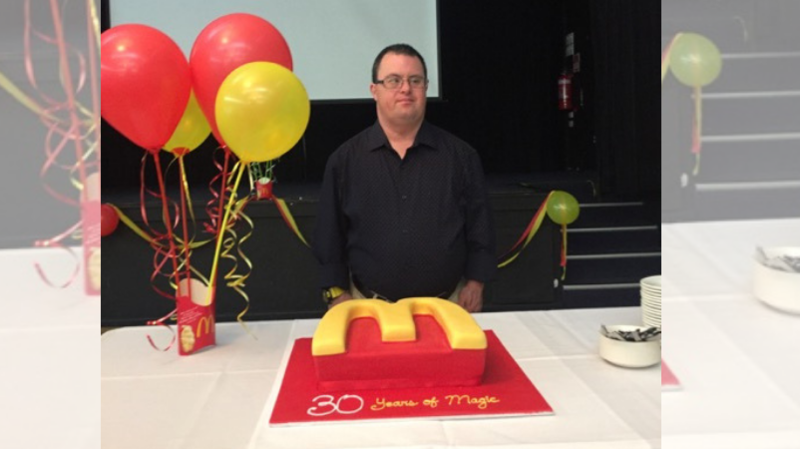 “Russell’s impact on people in his community is without doubt exceptional,” said Wynn Visser, assistant manager of JobSupport, a program which helps find paid employment for people with intellectual disabilities. O’Grady’s decision to turn in his uniform is due in large part to health reasons that come with his age. “As his family, our objective is to find him new activities to keep him both healthy and active in his community,” she said, adding he’ll now spend more time having dog therapy; and socializing with friends at the gym, bowling alley and local retirement home. She said plenty of customers will miss O’Grady as many would regularly go into the restaurant just to see him. “He has only told me he will miss seeing his friends at work (who are mainly young girls who make a fuss of him), his boss and all the people who call in to see him,” Visser said, speaking on behalf of O’Grady and his family. When he was 18 years old, O’Grady became one of the first people to have access to JobSupport program which helped shape his role and provided him vocational training. “Russell’s tenure is truly remarkable,” Visser said, adding that the program partners with 75 McDonald’s restaurants in the country. 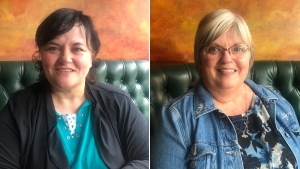 On average, their clients with moderate intellectual disabilities work in the fast-food chain for nine years. His long-standing time there hasn’t gone unnoticed. In 2012, O’Grady was profiled on YouTube by Disability Employment Australia, an organization which represents the disability employment sector throughout the country. Since then, he’s worked a variety of different tasks including cleaning and clearing trays, sweeping the floors, greeting customers, serving up orders and packaging party boxes.